​​Еще один совместный документ NetApp и Broadcom из серии NetApp Verified Architecture теперь с архитектурой решенеия для MongoDB поверх NVMe-oF — NetApp and Broadcom Modern SAN Cloud-Connected Flash Solution. MongoDB and SUSE NetApp Verified Architecture Design Edition. ​​Обновился совместный с Broadcom документ из серии NetApp Verified Architecture с архитектурой решенеия для Oracle поверх NVMeoF — NetApp and Broadcom Modern SAN Cloud-Connected Flash Solution. Oracle and SUSE NetApp Verified Architecture Design Edition. В документе описано решение с использованием AFF A700s и Brocade G620, подробно описано как настроена сеть, как разбиты диски и т.д., вплоть до точных версий прошивок HBA. Посчитана экономия от перехода с SCSI FC на NVMe over FC. Я не перечитывал документ, но самое заметное изменение это более подробные графики с производительностью. Хороший аргумент в пользу использования NVMe-oF даже в системах NetApp AFF с SAS SSD. Напомню, NVMe-oF поддерживается в A300, A700, A700s и A800. В ONTAP 9.5 добавили поддержку ANA - Asymmetrical Namespace Acsess, аналог ALUA. 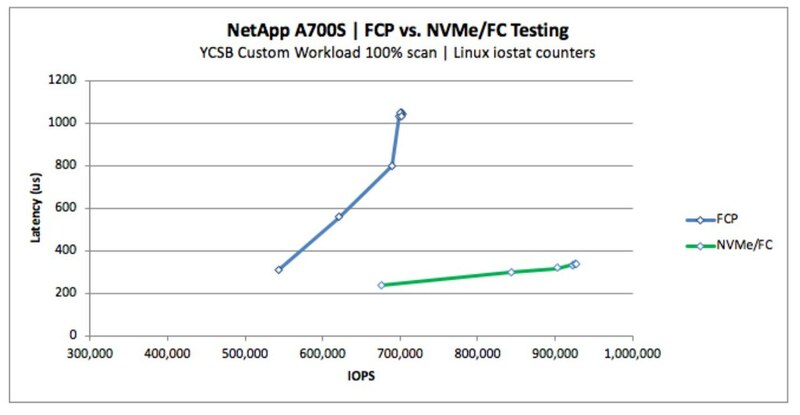 This NetApp® Verified Architecture has been jointly designed and verified by NetApp and Broadcom Inc. It uses the latest Brocade, Emulex, and SUSE technology solutions along with NetApp all-flash storage, which sets a new standard for enterprise SAN storage and data protection that will drive superior business value. 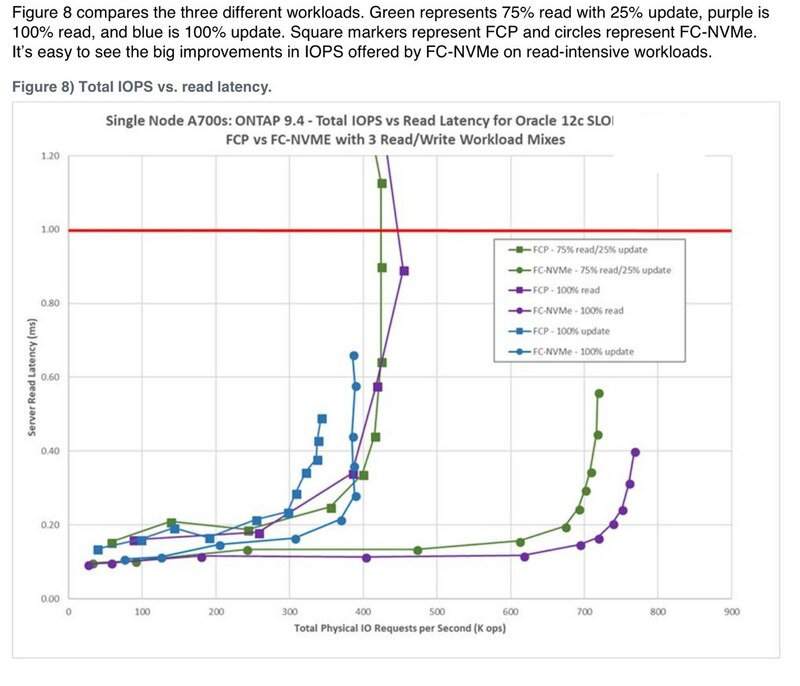 This document describes a verified, unified modern SAN solution reference architecture, designed by industry leaders Broadcom and NetApp with a first-to-market enterprise NVMe/FC solution. NetApp and Broadcom provide an end-to-end NVMe-powered solution, from host to storage controller, that can help you realize the promise and the benefits of NVMe technology right now.